Quick and easy! Everyone can assemble these to suit themselves, including the vegetarians who may omit the beef and make bean burritos instead. 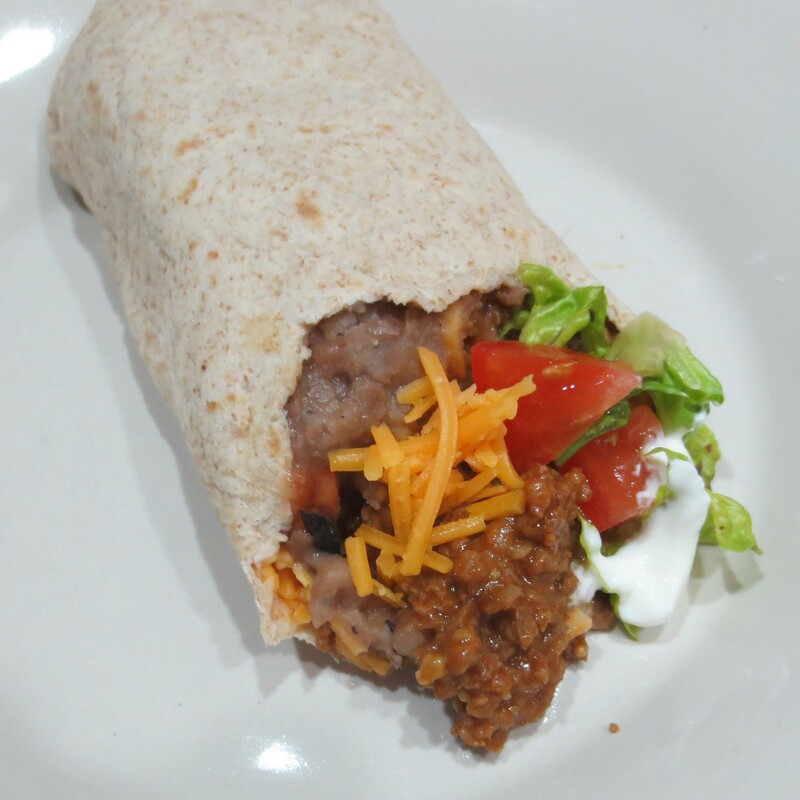 We serve them with brown rice on the side, but the rice can go into the burritos, as well. 1. Warm the tortillas by sandwiching them between two layers of damp paper towels and microwaving for about 45 seconds on high. 2. Heat the beef and beans to serving temperature., and set out all the other fillings in small bowls. 3. To assemble, layer desired fillings down the center of a tortilla, stopping about 2/3rds of the way down. Try to resist the tendancy to over-fill or you’ll have a mess on your hands! Fold the bottom third of the tortilla up over the filling, then fold in each side.